Ships today if you order in the next 7 hours 1 minutes. Don't let painful, weak joints stop you from living life to the fullest. Support joint health with AR-Encap by Thorne Research. AR-Encap is a comprehensive joint supplement that not only includes glucosamine, but also MSM and powerful botanicals to keep you doing the things you want to do. Glucosamine is an essential nutrient for joint health because it's in the fluid that surrounds joints, but it's not the only nutrient our joints need. MSM, or methyl sulfonyl methane, is an organic compound with a high percent of sulfur that is easily used by the body. The sulfur in MSM helps maintain the structure of connective tissue, helping to strengthen joints. 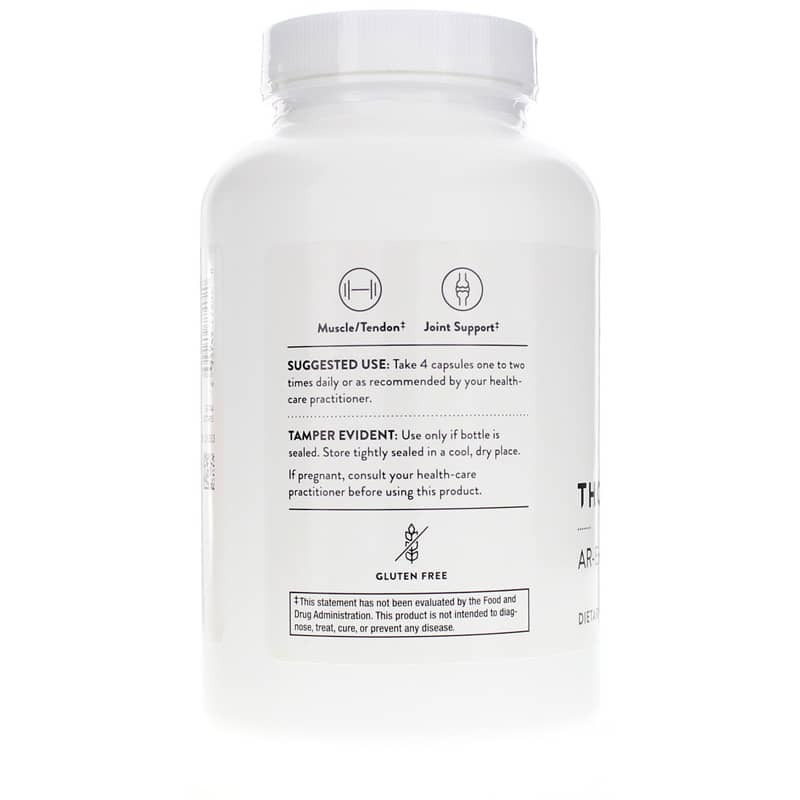 Added herbal ingredients like curcumin and boswellia have antioxidant properties and support a healthy immune response to protect joints from damage. The curcumin in AR-Encap is paired with phosphatidylcholine, making it much more absorbable and useful to the body. 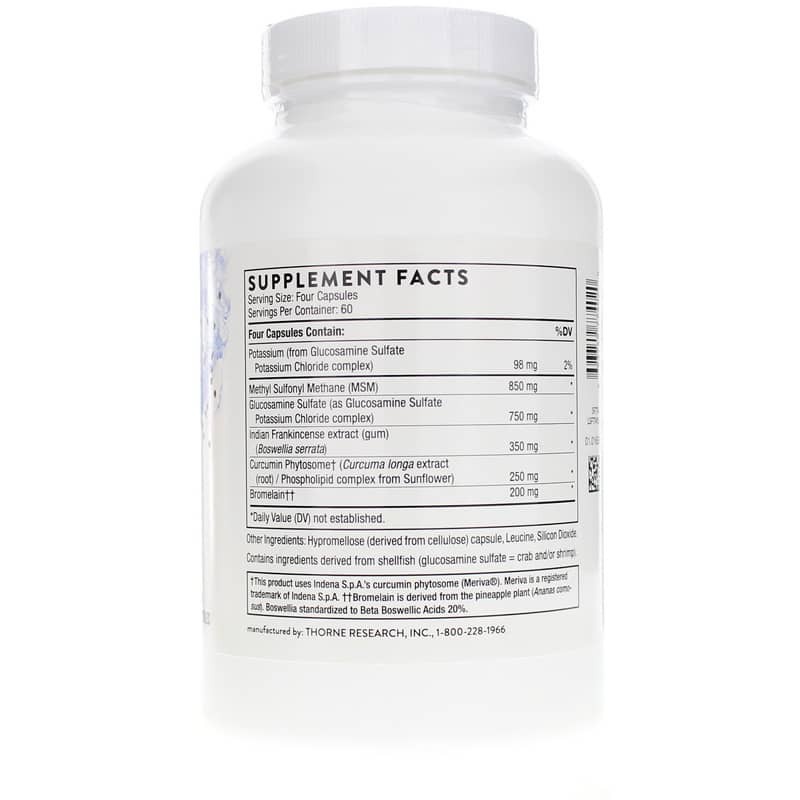 AR-Encap is made with quality ingredients and without flowing agents that can inhibit bioavailability so you get the most benefit from this supportive formula. Support your joints for the lifestyle you love. Order AR-Encap. Adults: Take 4 capsules one to two times daily or as directed by your healthcare professional. 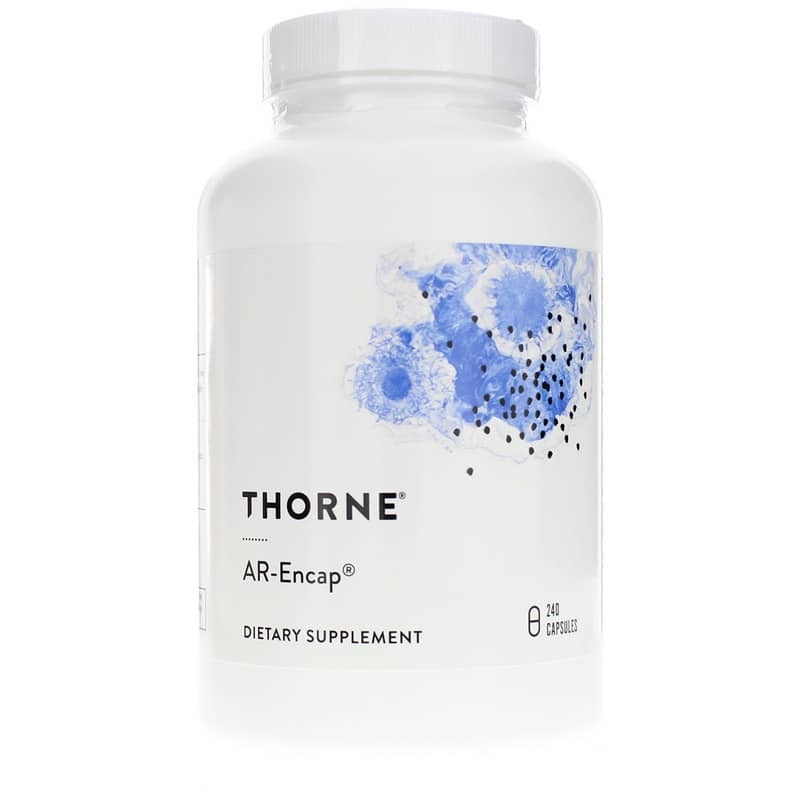 AR-Encap supplement by Thorne Research was recommended and It works for my body.